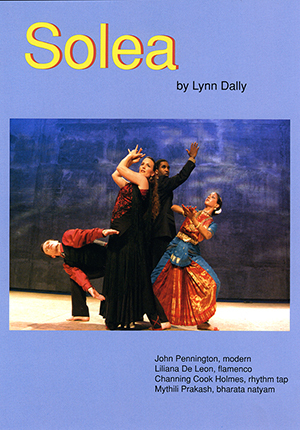 Solea is an original cross cultural dance work created by Lynn Dally in collaboration with composer Jerry Kalaf. This adventure in rhythm-a-thing was sparked by Dally's creative life as a tap dancer touring worldwide for Jazz Tap Ensemble. The Solea DVD, supervised by filmmaker John Bishop, includes the Premiere Performance (LA/NY), a five performer preview performance (Highways), a lecture demonstration on the making of the piece, rehearsal footage where the dance and music come together, blues solos, a photo gallery and artist biographies.